Bill Hader, left, is set to star in a commercial for Pringles. 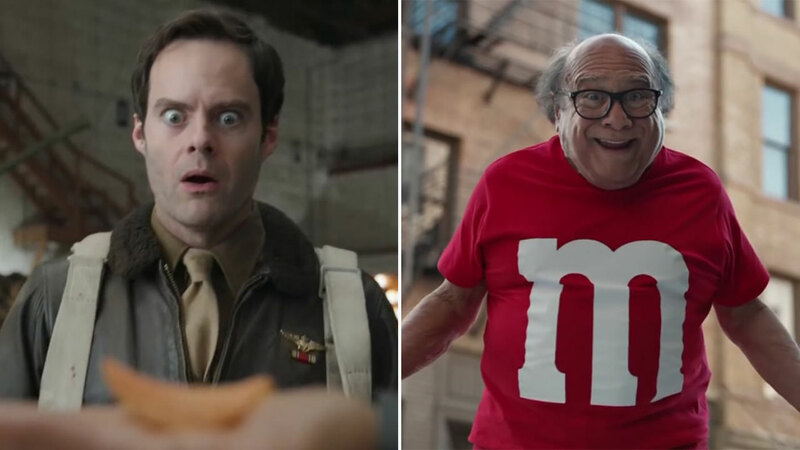 Danny DeVito, right, takes on the role of an M&M come to life. From slapstick comedy to real-life drama, the commercials of the 2018 Super Bowl hoped to hit every emotion out of the millions and millions and millions of TV viewers who are expected to watch the big game. And with big viewership comes a big price tag. The average price for a 30-second spot during the telecast is around $5 million. Lexus, starring the cast of "Black Panther"